Independent Kitchen & Bath design firm. Creating unique designs that reflect the client's style at a cost that makes sense. Difficult layouts are our speciality as we view every space as an opportunity to discover its potential. There is so much more that goes into a successful remodel than just a well-planned design on paper. Bringing a design to life requires extensive project management as there are a lot of moving parts, from deliveries to installation, and the coordination of skilled tradesmen. It is my responsibility to see that all these details come to life at the right time and in the right order. 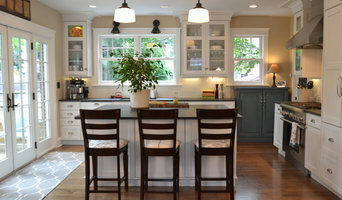 -- An interest in Kitchen and Bath Design all started at a very young age for Denise. At 14, she landed her first job opportunity with the Chicago based art program - Gallery 37. Today, with over ten years of diverse experience in the design industry, Denori Design is a full service professional remodeling company, offering a range of services that includes custom cabinetry design, product selection, project management and cabinet installation. Our Certified Kitchen Designers use a hands-on approach and will be involved in each phase of the design process, from design concept to final installation. No matter what your project entails, Denori Design takes great pride in helping homeowners achieve their home interior dreams. Please give us a call or send us a message, we would love to discuss your ideas further! Stop Imagining & Start Living! Award Winning Design: When you choose Miro Kitchen Design, you are choosing our commitment to excellence. Miro Kitchen Design was founded on the premise of providing value-based clients with award-winning design, and superior product. We strive to apprehend the true nature of our clients’ existing issues and future desires through intuitive understanding. Then we apply that insight into a design that transcends our clients’ dreams. Our abundance of expertise within, gives way to strategic thinking. Just being great designers is not enough. The differentiating factor is when we apply our insight and expertise in a strategic manner. Unsurpassed Sophistication & Workmanship: Our team of professionals and craftsman offer a level of sophistication and workmanship unsurpassed in the industry. Methodically refining our products over the years has evolved into purposefully aligned business partnerships with our vendors. The Miro Kitchen Design staff provides personalized attention and assistance to our clients from initial consultation through the construction process. Our service continues long after your project is completed. We will be here to make sure you enjoy your investment for years to come. Miro Kitchen Design offers endless resources, award-winning design, permitting, warrantied material and workmanship all with one point-of-contact, which ultimately lends our clients a means to an end. We would absolutely love the opportunity to work with you to create a design that is inspired by the past, grounded in the present, and equipped for the future. Award winning design build firm with over twenty five years of home building and remodeling experience in the North and Northwest Suburbs of Chicago, we’ve built, renovated and remodeled well over 500 homes. Our skilled team is dedicated to true craftsmanship and flawless design. We take each project from a concept, to design, through completed construction. We employ only the most dedicated and experienced artisans to build or renovate each home. Our experience means our clients get superior craftsmanship and design done on time and within budget. -Establishing Successful Partnerships -Building True Craftsmanship -Designing Flawless Space -Creating Functional Living -Providing Value for Generations We, at Patrick A. Finn, provide true craftsmanship and flawless design of new custom and remodeled homes. We are true to our work and to our customers. Treating customers like family, we establish a successful partnership with them, we focus on communication throughout the construction process and stay in touch with our customers well after a project is completed. We establish lasting relationships with our customers by exceeding their expectations and gaining their trust by every member of our construction and design team. We add value for our customers through creativity, foresight, integrity, masterful performance, and honesty. We represent true craftsmanship and flawless design. For more information on our company, visit us at <a rel="nofollow" target="_blank" href="http://www.patrickafinn.com/">http://www.patrickafinn.com/</a>. To download our helpful homeowner resources, go to <a rel="nofollow" target="_blank" href="http://www.patrickafinn.com/home-remodeling-resources/">http://www.patrickafinn.com/home-remodeling-resources/</a>. CR Cabinetry is a kitchen & bath design studio that focuses on your lifestyle to create rooms that balance design along with function. We offer full service kitchen and bath sales, design and installation. Our expertise extends well beyond this and includes full project management and remodeling. 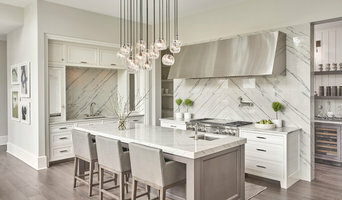 Achieving flawlessly functional and attractive kitchen and bath design in Park Ridge, IL requires a professional who specializes in these spaces. Not only do these rooms see the most action of the house, but they require the most planning and attention to detail. When designing them, a bath and kitchen designer must keep a strong focus on the homeowner's wants and needs while also considering things like potential resale value. Read the tips below to learn how to choose the perfect Park Ridge kitchen and bathroom design professional for your home project. 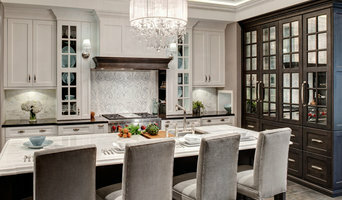 What does a Park Ridge kitchen designer or bathroom designer do? A kitchen and bath design professional in Park Ridge, IL knows to take all of these crucial points into consideration and can help plan the layout, materials and overall look and feel of either of these rooms in your home. Kitchen designers, as well as bathroom designers, are constantly staying on top of trends in the ever-changing industry. The designer also knows the best layout for your room, and can configure the layout for optimal functionality and utilization of the space. In the kitchen the refrigerator, stove and sink should be laid out in relation to one another, and it should be seamless and easy to move from one to the other. A Park Ridge kitchen and bath designer will know how to work with a contractor and architect to plan the flow of the room to work best for your needs. Here are some related professionals and vendors to complement the work of kitchen & bath designers: Kitchen & Bath Fixtures, Appliances, Tile, Stone & Countertops, Cabinets & Cabinetry, Woodworkers & Carpenters. Before you talk to bath and kitchen designers in Park Ridge, IL, consider how you will use the room. For your bathroom, is it necessary to have a bathtub for bathing kids or pets, or would a shower suffice? Perhaps all you need is a half bath for downstairs or a smaller guest bath for occasional use. Similarly, for kitchen renovations consider your cooking habits. Do you eat out every night but need a space to entertain in? If so, a smaller kitchen might be fine for you, with a space devoted to wine storage or a bar, whereas others might prefer a bigger stove or extra cabinets. When interviewing Park Ridge kitchen and bath designers, make sure to share these habits so they can best fit the room to suit your needs. Find a Park Ridge kitchen designer or bathroom designer on Houzz. Narrow your search in the Professionals section of the website to Park Ridge, IL kitchen and bath designers. You can also look through photos in Park Ridge, IL to find a kitchen or bathroom you like, then contact the professional who designed it.